HELP my turn signals won't work neither do my hazard lights! i accidentally spilled water into my 300d hazard light switch and my now turn signals dont work, when it spilled my hazard lights kept making a buzzing sounds, i would turn the hazard lights on to turn off the buzzing and the hazard light would blink but when ever i tried to use my turn signal and would buzz so loud, what's going on? should i buy a new relay? if so what type? disconnect the battery, pull up the carpet behind the center console switch wood. remove the ash tray, and get the center console wood up. you have to slide the wood back... do not just lift it up, or you will break the plastic pin. then take the hazard switch apart or soak it in contact cleaner. What John said! Welcome to the forum too! 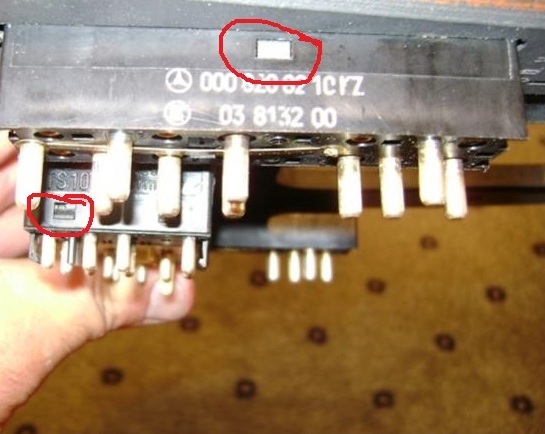 Depending on the year of your car, the hazard switch and relay are the same unit (Big push button switch), or on the later years the relay and switch are seperate(small toggle switch like the other switches) but the relay is still under the center console wood. 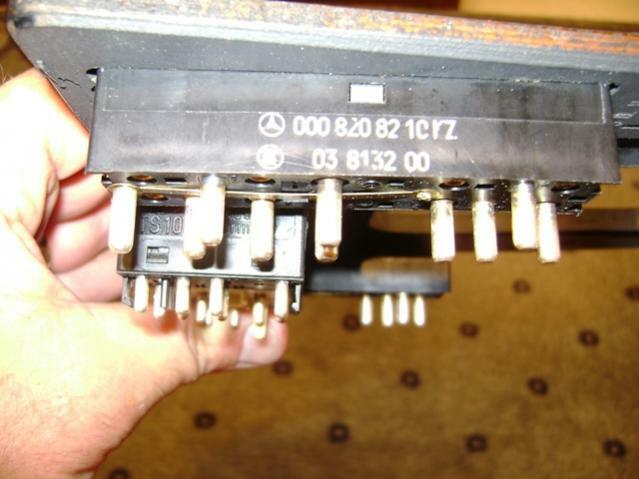 Be careful disassembling the switch. But while you're in there, consider cleaning your window switches. If they're intermittent or balky, you may as well do the job once. Watch out for springs, clips, tiny metal balls, etc. How does one disassemble the switches? I've looked at several but didn't notice an obvious way to disassemble. You can't always get what you want, but if you try sometime you just might find you get what you need. tiny indentions, insert tiny screwdriver, and pry... gently! and it will slide apart. I've seen a broken one apart and it had some form of lubricant inside. What is it and should it be replaced?